If you’re an employer, whether or not your female employees are going through the menopause at work is none of your business, is it? Surely menopause is a private matter that needs to be dealt with in private. It’s just women’s ‘hormonal stuff’, it’s totally inconsequential to your company, right? Because when you take into account that almost half of the entire UK workforce is women, that 3.5 million are aged over 50, and that most women will work until well into their 60s, you have to admit that the menopause is indeed something we allneed to be thinking about. Instead of simply ignoring the needs of the female workforce, it’s time that we stand up and put the health and wellbeing of employees at the very top of the list. It’s time we start caring more at this often-challenging time and learn better how to support women going through the menopause. 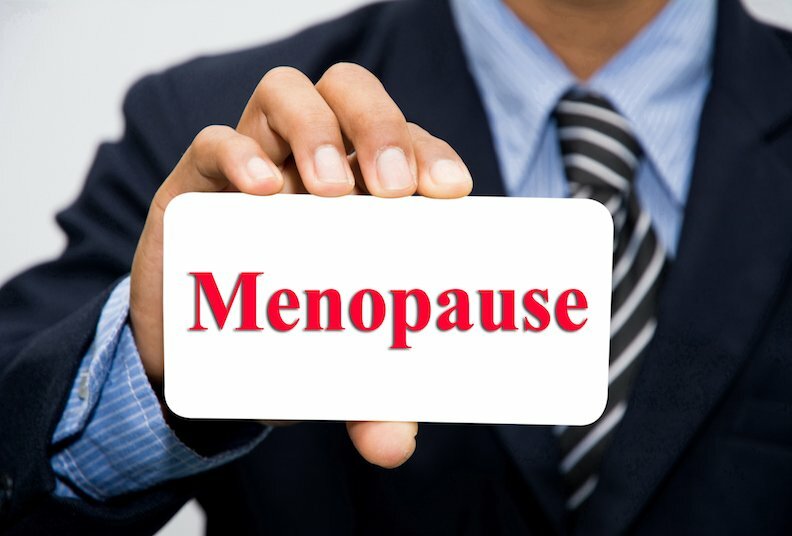 The menopause is the time in a woman’s life when her periods cease and she is no longer able to have children. Her production of oestrogen and progesterone wind down, her ovaries stop releasing eggs every month and her body becomes less responsive to the reproductive hormones Luteinizing Hormone (LH) and Follicle-Stimulating Hormone (FSH). Although the menopause is a time that is highly stigmatised throughout society and is often met with utter dread, it’s a completely natural process that can actually be empowering for some women. It’s useful to think of it like puberty in reverse. And just like puberty, the menopause can often bring with it a host of unwanted symptoms, ranging from the clichéd hot flushes and night sweats, to brain fog, insomnia, depression, lack of concentration, memory loss, irregular periods, vaginal dryness, hair loss, excess facial hair growth, weight gain (especially around the tummy) and many more. For many women this is a difficult time of adjustment, both physically and mentally, as the body adapts to the changing – and often fluctuating – hormone levels and she comes to terms with what this transition means for her self image and value as a person. Why can the menopause be a problem for women at work? It can be difficult for women when they go through the menopause, not just at work. However, the demands of the job, the pressure of deadlines and obligation and the peer pressure from colleagues often make any problems worse in the workplace. I’ve lost count of the number of women who have come to my clinic in tears, complaining about the way they have been treated at work. A hot flush struck when they’re right in the middle of an important meeting and they were left sweating, red-faced and struggling. Their inability to sleep last night has left them with brain fog or they haven’t been as bright and cheery as usual. And as such, they’ve been left feeling utterly embarrassed and ashamed about what is happening to them. So they just try to keep quiet about their menopausal symptoms and do their best to just carry on despite the significant transitions that are going on within their bodies. Ladies… does this sound at all familiar to you? Not only are menopausal symptoms in the workplace making these women’s life hell, they’re also adding to the burden they are already under. So without the proper support and understanding, there’s a chance their work performance could be affected. And the worst-case scenario is they end up walking out of a job they used to adore. It’s vital that employers understand what women may experience during the menopause, encourage them to ask for help when needed, and learn how to best support them through this normal life event without sacrificing their performance or happiness. Understand. Learn more about the menopause and commit to training your employees and managers. Offer help. Find a trusted and approachable person that can play a supportive role, and explain to your female employees how to contact this person. Create an information leaflet. Many menopausal women don’t know what to do to feel better, so create your own company leaflet with advice. Conduct a workplace review. Consider whether the conditions are helpful for a menopausal women. What is the temperature like in the room? Is there enough ventilation? Can they access cold drinking water? If not, consider making some small modifications that could make a big difference. Be flexible. Menopausal women need a certain degree of flexibility to help them cope with any symptoms. This could include flexible working, shift changes, or start recording menopause-related absence as one absence instead of many. Could you make modifications to your uniform that will help your employee to cool down when needed? And what about female employees? It’s not just about the employers. As a female employee, you too can make great changes in the workplace and ease your experience of the menopause. Don’t be afraid to ask for what you need at work. If not your manager, someone else you feel comfortable discussing your symptoms with, but do try to talk to your manager. Even if you’re not menopausal, consider helping your workplace becoming more menopause friendly by launching a new initiative, speaking to your manager or supporting someone who really needs your help. On a final note, I’d like to ask you what you can do right now to change how menopausal women are treated in your workplace, even if it’s just one tiny thing? Even the smallest changes will make a massive difference. Studied Psychology & Sports Science at NTU. At Smarter Change she has combined over 18 years of working within the health and well-being industry to support women through different stages of their lives, expectant mothers, perimenopause and menopausal women.